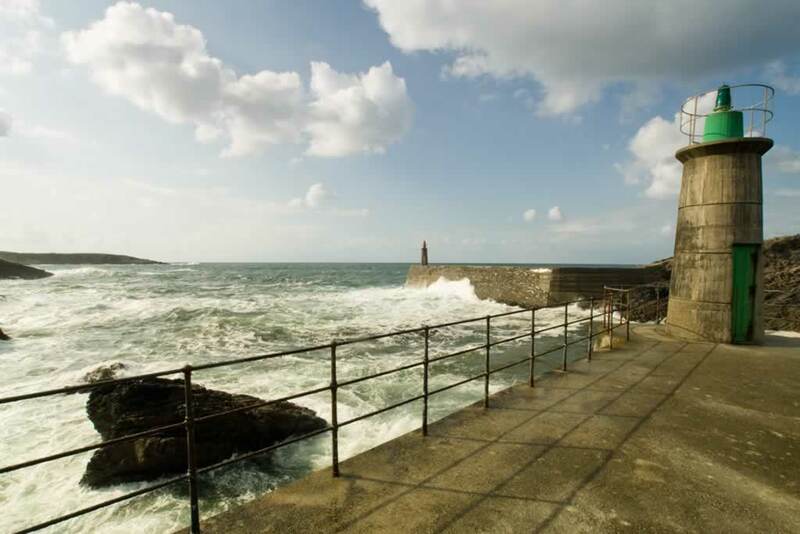 Viavelez, located on the western edge of the province of Asturias, is without doubt one of the most charming fishing ports of the whole coastline of northern Spain. A pedestrian village with charming alleyways which wander from various scenic lookout points down through traditionally styled white maritime houses accented with multicolored doors and shutters to the the historic port where local fishermen can be found working on their fishing boats and nets truly make Viavelez a postcard setting. Time appears to stand still on its original stone docks of Viavelez which, in the mid 19th century, was the center of sailboat construction in Asturias and later an important timber port. The sensation of peaceful isolation and living history in Viavelez is complemented nicely by the proximity of the bustling towns of Tapia, Navia and La Caridad as well as the charming villages of coastal Galicia, all within walking or short driving distance. © 2019 Copyright Via Velez.